Mushroom glass tea light holder. 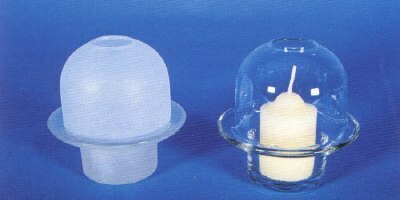 9 cm diameter, 9 cm tall, with heavy flared flat dish for tea light or small votive ( ie, 1220 mini votives) with clear dome , ideal for outdoor or dinner tables. Available in clear or frosted glass.